National Kosher Supervision (Rabbi Aaron D. Mehlman) | Thanks a Glatt! 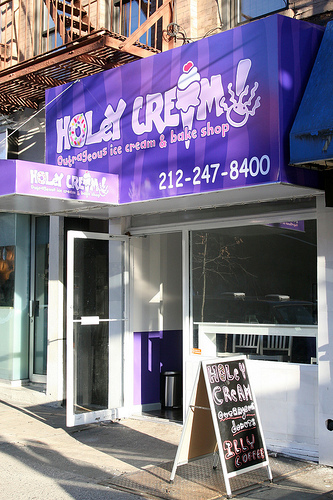 Holey Cream an ice cream, donut ,and shake shop has opened up in Midtown West. From the looks of the reviews on yelp it seems like a great place to check out! It is under the supervision of Rabbi Aaron D. Mehlman of National Kosher Supervision.